New report ranks UK 3rd for tech innovation after China and the US. 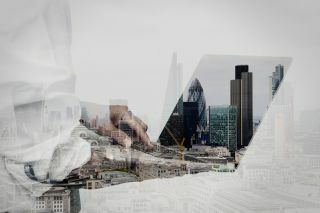 A new report from KPMG has ranked the UK as the third most promising market for innovation, disruption and technology breakthroughs after the US and China. KPMG's 2018 Global Technology Innovation Report surveyed almost 800 global business executives to reveal the world's top technology innovation hubs. Of those surveyed, 19 per cent named the UK as the third most promising market for tech breakthroughs behind China at 26 per cent and the US at 39 per cent. According to the report, the UK tech sector had another strong year in 2017 with businesses posting robust earnings and strong cash flows that led to continued investment in R&D and acquisitions. Venture Capital investment was at a record level in the country at $4bn which was almost twice as high as in 2016. When questioned as to which cities will be the leading technology innovation hubs over the next four years, technology industry leaders named Shanghai, Tokyo, London, New York, and Bejing as the top five cities. Respondents also shed light on the key factors behind the record level of investment in UK tech firms citing availability of talent, London's finance and services industry, fiscal/tax incentives and first class universities as some of the top reasons businesses are choosing to expand their operations in the country.